Looking to try something new in your classroom this year? 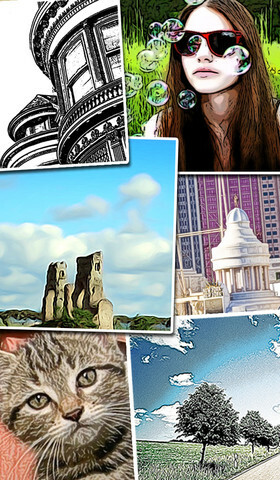 Consider trying these 7 apps. 🙂 They will help you grade student work, keep in contact with parents, establish class discipline/routines, track student progress with ePortfolios, organize your lessons, and create tutorial videos. 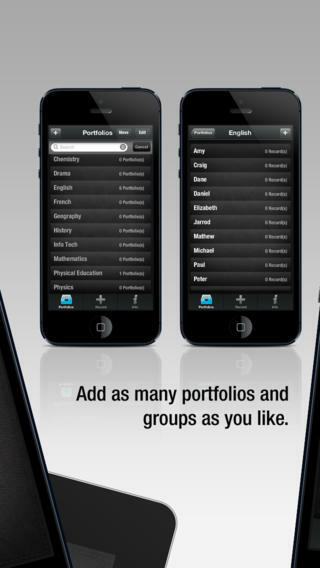 Remind is a FREE iPhone/iPad app that provides a safe way for teacher to text or email parents/students. To start, a teacher goes to the Remind website to add his/her class list. A unique code is generated and the teacher shares that code with parents/students. The parent or student then sends a text message with the code to subscribe to the teacher’s class. 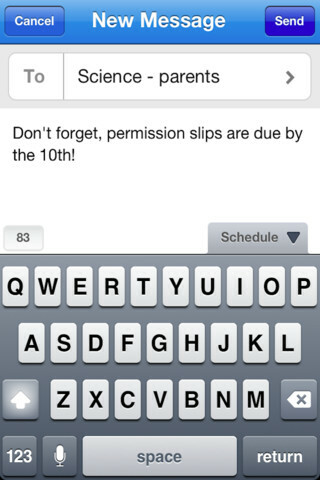 From that point on, the parent/student will receive any message that the teacher sends from Remind. Teachers can text or email their entire class in minutes – homework assignments, field trip reminders, etc. All phone numbers remain private – students never see the teacher’s phone # and the teachers never see the students’ numbers. 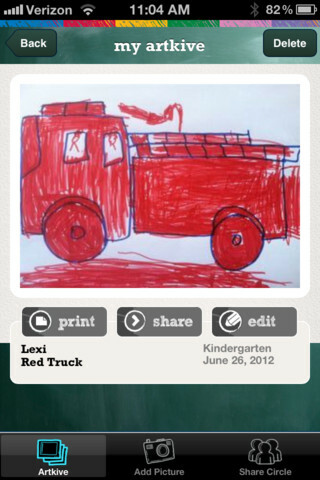 This app has been written about by NBC, NPR, Huffington Post, Edutopia, and Edweek. Wow – what a great tool for improving communications but maintaining your privacy! 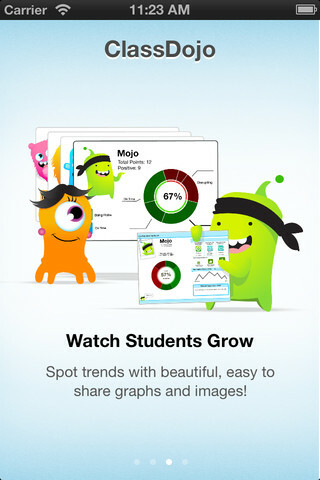 And, ClassDojo just keeps getting better. FREE messaging has been added to the app. Teachers can now send “direct” messages and/or photos to individual parents or they can “broadcast” a message to all parents. Sending reminders, assignments, homework, permission slips, etc. just became easier! Another newer addition to ClassDojo the option of creating groups. 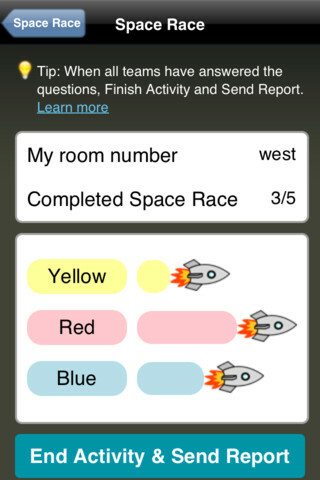 Teachers can now put students into groups – making it simple to award table points, team points etc. Fostering a collaborative classroom culture is simple with ClassDojo. FREE to try – ZipGrade, a slick app that grades multiple choice tests & quizzes instantly by using your device’s camera as a scanner. It’s very easy to use. First, go to ZipGrade.com to download an answer sheet for any size test – 1 to 100 questions. Print as many as you need. A 100 scan demo is FREE with the download. Click new quiz and enter your answer key. Start scanning/grading. ZipGrade can scan up to 20 tests per minute. 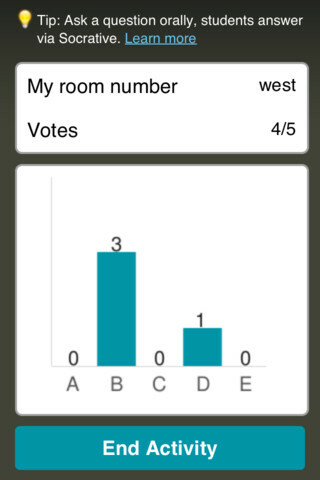 The app can be set up to use student ID numbers or student names. Results are organized for reporting/exporting via PDF and Excel. They can also be synced between devices. 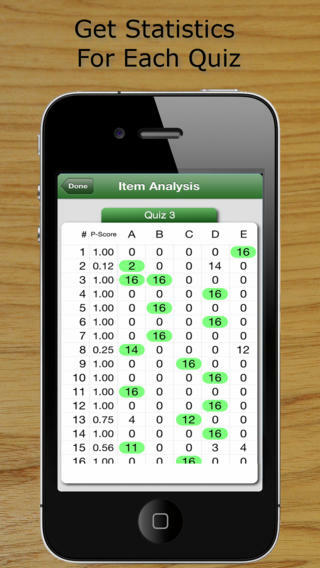 Students will love the instant feedback and teachers will love the item analysis. This app would be especially great for high school/college teachers who have overwhelming numbers of test/quizzes to grade. Check out the FREE version today! The full version of the app is $1.99 for 2 months or $6.99 for 1 year. 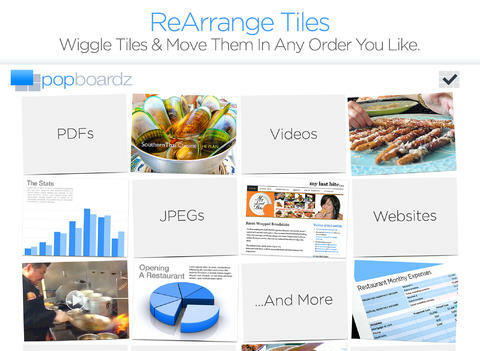 FREE with in-app purchases – Popboardz, a productivity tool. Popboardz makes it easy to organize, store, and present information. Each board is a grid with 16 spaces for content so that all of your PDFs, images, videos, websites, can be arranged on one screen. Unlike other presentation tools, Popboardz makes it easy to customize your presentation to meet the needs of your group. Just click on the grid space that contains the example, information, or link that you would like present next! It’s easy to skip around. This app would be fabulous to use in the classroom. A teacher could organize all his/her digital resources for a unit on one board. That board can be saved so it is always ready to present! It is also easy to edit and/or rearrange boards so that lessons can be tweaked as new resources become available. Students could also use Popboardz – to organize information, to present projects, to give reports, and more. What a great educational app! 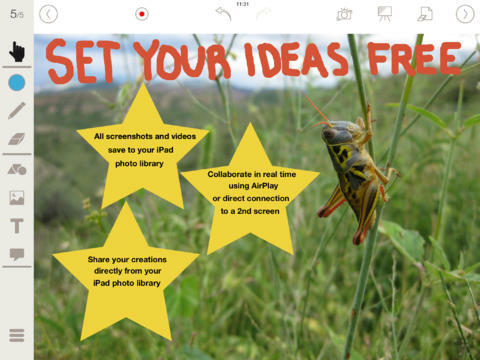 Educreations is a great FREE app that turns your iPad into a recordable whiteboard. You can create tutorial videos for a variety of purposes: teach a lesson, create example math problems, explain a diagram, add commentary to your photos, etc. This educational app records & replays your voice, handwriting, and/or drawings.Educreations is simple to use and permits you to build lessons with multiple pages. The editing tools allow you to: add text to any page, add photos, resize and move images, easily erase drawing mistakes, create “animated playback” by dragging objects as you record, and more.